Personal Note: 2016 Ladies Co-Driver Challenge was a Challenge for me as well. What I learned was I need to have a better list of expectations for the ladies that attend the challenge events. We used this list in 2017 & 2018 and it was amazing the difference. I believe the success was my communicating the expectations in a way that there are no misunderstandings and something we can reference as an accountability list. 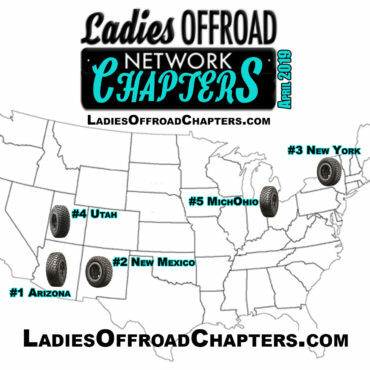 I really love this program and the opportunity to share my experiences with ladies from across the country. 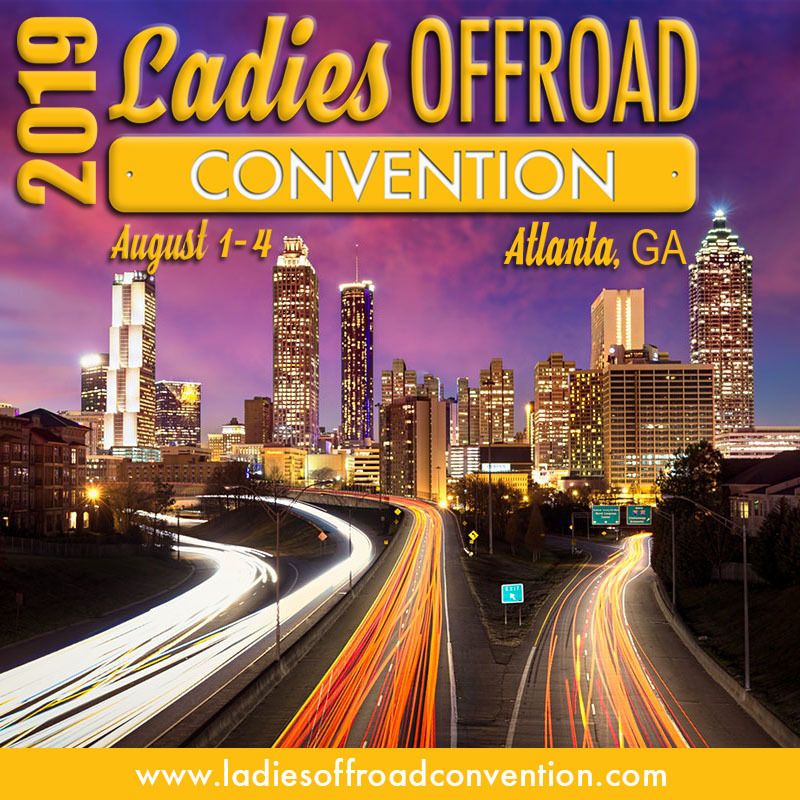 This program is expensive and we have to do our work to keep the program going for years to come so other ladies, like yourself, have these awesome opportunities. Our partners are very important to me, and I hope are to you as well. It is because of them that I am able to challenge the boundaries and offer the Ladies Offroad Challenge. Unfortunately, some of these items are petty, most are items that shouldn’t have to be stated, but apparently they do. I’m not trying to put anyone down by assuming that you would not genuinely be able to accomplish these expectations without asking, but again, I have learned from my past. Please don’t think less of me for this. I am not happy I have to write this. 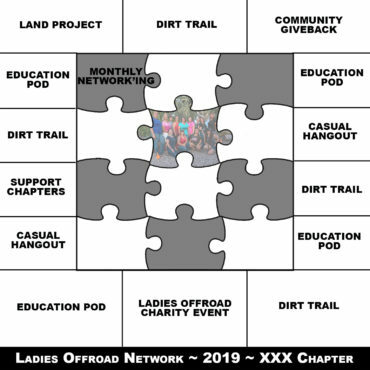 You are expected to positively represent Ladies Offroad Network and yourself online and in person before, during, and after the events. 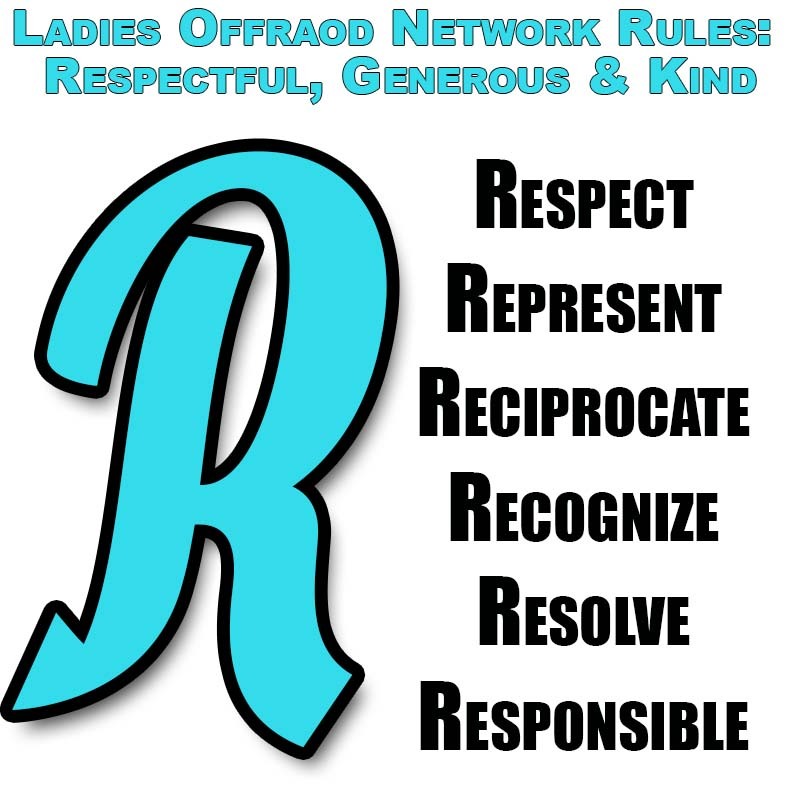 You are expected to be respectful to the brands and supporters of this year’s events, including Ladies Offroad Network. If possible, I also ask you to strongly consider being loyal to them in your purchasing decisions. You are expected to be mentally prepared. Whether it be preparation to be away from technology, family, work, etc. You are expected to be physically prepared. Not asking you to be a fit athlete (I’m not! ), but need to have core strength to be in a vehicle for multiple days and be able to walk and hike, or as required by the event. These are drug free events. There could be light social drinking. You are expected to be responsible. You are expected to participate The Best You Can in the event every day. There is no giving up, or deciding you don’t want to participate during the event. Through communication we can manage your challenges and overcome them. You are expected to attend all events that are in association with your event while we are travelling, including but not limited to Meet & Greets, Media Events, and Shows. Additional events outside this block of time are encouraged, we can accommodate scheduling if agreed upon in advance. Please do not leave the events early, mentally or physically. You are expected to come with an open mind. Don’t overthink or come with a preconceived outcome. Don’t come feeling like you will “let me down”. Do The Best You Can. You are expected to submit a written story of your experience at the event within a determined set amount of time. You are expected to participate in social media as outlined in our event plan. Sharing and interacting with all pre, during and post plans. 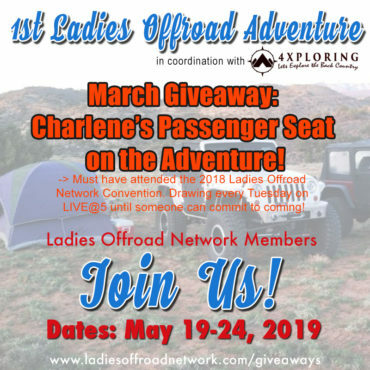 You are expected to communicate your needs to Charlene and the Ladies Offroad Network team so they can accommodate them. If we don’t know, we can’t help. You are expected to contribute. Be part of the conversations, planning, engagement online, pre and post opportunities. This is about you!